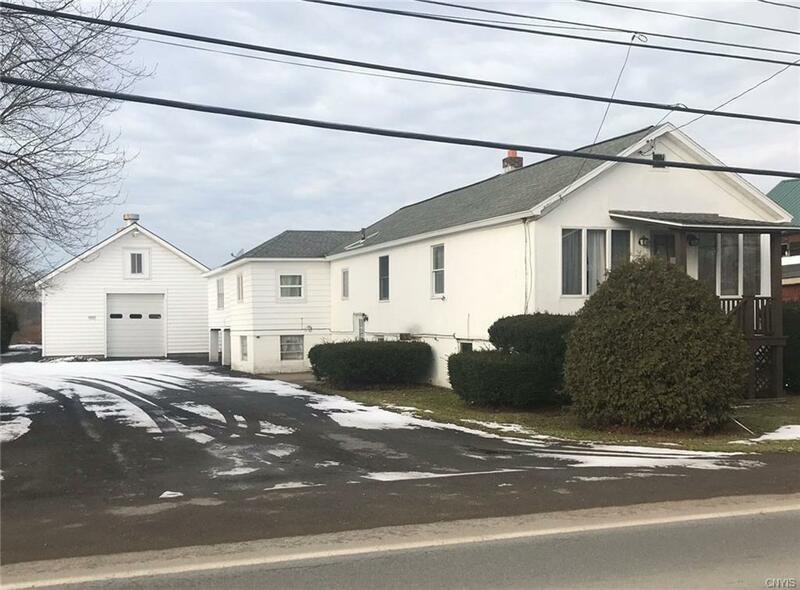 Auction on May 12, 2019 @ 10 AM! No Minimum Bid. List price reflects assessed value! Bidding Starts at $1! Delayed Showing until after 5/5. 2,099 +/- Sq. Ft., 3 Bdrms, Raised Ranch w/Insulated Warehouse on 20.52 +/- Acre Lot! LR w/ carpet. 3 Bdrms. w/ closets. Eat-in Kitchen. Full Bath. Display Room w/Paneled back wall, 4 built-in sliding glass Display Alcoves. Glass door Display Cabinets. Upper storage Rm. Lg Great rm w/paneled walls, 3 dbl sliding door cabinets. 2 finished storage attics & add'l unfinished storage attic. Back stairway to Storage Barn. Bsmnt w/Nat. Gas hot water heat & 40 Gal. Nat. Gas wtr htr & 200 AMP Circuit Breakers. Summer Kitchen, Full Bath w/shower, mltpl storage rms. 2 sm out buildings. Also MLS#'s: S1184499 & S1184519. To be sold separate or together.